This is the final interview featuring ProZ.com members who have won Apple Watches as part of the site’s year-end membership campaign. Carl Brunet is the subject of today’s interview. Carl is a translator working in English and French, specializing in international relations, trade, marketing, environment, and finance, among other fields. He currently resides in Ottawa, Canada. I’m optimistic in that people will always increasingly want to communicate and so there is a role for language professionals, but sometimes technology is imposed upon us and does not make the job necessarily easier. Q. What’s the most rewarding part of your career as a freelance translator? Having the freedom to call the shots, work as much as I want, where and when I want to. I’m currently on holiday in France. I have found some interesting jobs on the platform, gained valuable experience with some of the largest companies in the world and it is motivating to see so much work available if I want it. I want to keep going down the path I’ve chosen, building my business and work on marketing myself better now that I’ve gained greater experience working for a huge variety of public and private sector clients. Today’s interview features Apple Watch winner Frederique Griffith. Frederique is a certified medical interpreter working in French to English and vice versa. She currently resides in Saint Louis, Missouri. This is one of the final interviews conducted as part of ProZ.com’s year-end membership campaign. All prize winners have been selected, and you can find the full list of winners here. A special congratulations to our grand prize winner, Eszter Lelik, who won a brand new Nissan Juke! Q. Your profile indicates that you’re a medical interpreter. What do you find more rewarding – translating or interpreting? I have been interpreting for several years now and really enjoy it. People are very grateful for the service provided. Whether they are filling out a form, seeing a doctor or interviewing for immigration, it is always reassuring to foreigners to have someone next to them who understands them. It is a pleasure to help people communicate that way. Translation is different as I don’t interact with people directly. I am optimistic because people are traveling, moving and doing business across borders more and more easily and will always need quality work done in translation. Machine translation is far from being the equal of human work. Quality is important and cannot be attained cutting corners and using machines. I have learned quite a bit from ProZ.com. I have listened to several webinars, purchased a software at the group price, consulted the Blue Board to check on possible jobs and used the terminology glossary site quite a bit. Seeing and reading my colleagues’s viewpoints in the discussion forums is also very helpful. I hope to do a little more translating as I transition from interpreting, where I spend a lot of time driving to and from appointments. Over the Phone and Video Interpreting also allow me to cut back on travel time. I enjoy the challenge that represents the translation of a document. I plan on increasing my knowledge of CAT tools and taking advantage of the online library available to ProZ.com members. Gudrun Dauner is a freelance translator based in both Philadelphia and Munich. A native German speaker, she translates primarily from English and Italian into German and specializes in the field of art history. Gudrun is the twelfth Apple Watch winner in ProZ.com’s year-end campaign giveaway. See all interviews in this series here. Q. How did you initially start working as a translator? I was always fascinated by foreign languages and cultures, and so parallel to my studies in art history in Germany I enrolled in language programs in other countries, mostly in Italy. After finishing my Ph.D. I worked on Italian Renaissance drawings at the State Graphic Arts Collection in Munich and then curated an exhibition on the same topic for the Rosenbach Museum & Library in Philadelphia. While attending the opening of this exhibition I learned that the United States Holocaust Memorial Museum’s Center for Advanced Holocaust Studies in Washington, DC was looking for German translators to work on an encyclopedia. I worked for a few months on that project and found I loved it for two main reasons. First, I was glad to have a chance to put my language skills to productive use. Second, translating for publications is in essence what I did for many years as an art historian: looking for the best possible way to express a concept. So in a way, it was by chance that I started working as a translator back in 2005, but it “clicked” very quickly. In spring 2006, I registered at ProZ.com, which helped me build up a loyal client base in my field. Q. From the details in your ProZ.com profile it looks like you have worked on some very interesting projects. Which one was your favorite? It is hard to pick one favorite project, but in general I enjoy working on long-term projects, where I can learn a lot about a subject of interest to me in the course of translating the source text and sometimes even get the chance to write entries or essays. Over the past few years I have translated a lot on art glass, starting with “The Coburg Prize for Contemporary Glass 2014” for the Veste Coburg. This project led to the collaboration with a private collection in Hamburg, the Barbara Achilles Stiftung. The first volume of their collection catalogue was published in 2016 and we are now preparing the second volume. This is the first time I have translated the entire text for a two-volume publication from German into English. I guess that fact, in addition to my fascination with the subject, makes it probably the most challenging and rewarding project I have worked on so far. Q. What is the most fulfilling aspect of your career as a language professional? I find it especially fulfilling that I get to do on a daily basis that which I enjoy doing: working with languages. Since I spend most of the year in Philadelphia, translating keeps me connected with my native German, and also helps me feel close to home when I am away. Translating is work that forces you to evolve and grow every day. You have to stay up-to-date with the languages (English, German, and Italian in my case), the technology, and also with the scientific developments in the field(s) of expertise. I find the more I translate, the more this happens practically automatically. I also appreciate the flexibility that comes with working as a freelance translator. You can plan your overall schedule and each individual day yourself, and you can work from wherever you are. It doesn’t matter if I am in my office in Philadelphia, or at my other home in Munich. This gives me the feeling of freedom that I need to thrive. Becoming a translator was a career change for me, even if it was a smooth transition where one step led to another. From the beginning, ProZ.com was the most important resource for finding clients. When I started as a translator, I translated a broader range of topics, such as financial, legal and medical documents. Based in the US, I was often translating into German under tight deadlines, sending the documents at 3 am so that my clients in Europe would have the translation at the beginning of their business day. As I built my reputation, I was able to focus more and more on my field of expertise and get away from the overnight jobs. Now I translate almost exclusively for art galleries, museums, editors, university professors and tourism agencies. Many of the clients I work with on a regular basis found me on ProZ.com, ranging from a philosophy professor in Florida who writes on Hegel to an art gallery in Switzerland. In fact, several of my clients I have not met in person – ProZ.com is our meeting place. My membership continues to pay dividends by giving me access to interesting clients all over the world. I am very happy as things are right now. I have a five-year old son, and when he was little it was difficult to find a work-life balance. Now that he goes to kindergarten and becomes more and more independent, I am able to take on larger projects and still feel confident that I can deliver high quality in relatively short time frames. If anything, my plan for the future is to tackle more of these large projects. A long-standing member of ProZ.com, Stéphanie Boufferet is a freelance translator working in Spanish to French from her home in Spain. Stéphanie is also the tenth Apple Watch winner in ProZ.com’s year-end campaign giveaway in celebration of the site’s Plus package release. You can find all posts in this series here. When not walking her two Yorkshire terriers, you can find Stéphanie in her home office in northern Spain. Q. I see that you are a member of Asetrad. In your opinion, how important is it for translators to join professional associations? Has being a member of Asetrad benefited your career in any way? I think that is very important for a translator to join a professional association. As freelancers, we are working alone at home. An association is very helpful to get in touch with your colleagues if you don’t want to be isolated. Asetrad gave me the opportunity to meet other translators, to exchange ideas, know-how, resources and legal queries through the forum and to access high quality publications like La Linterna del Traductor. As a member of Asetrad, I must scrupulously respect the association’s Code of Conduct, which asks us for instance to respect confidential information, to refuse “assignments that we are not qualified to undertake or for which we cannot ensure optimum quality” and to only accept “remuneration that enables them to practise their profession efficiently and with dignity”. For our clients, it is a real pledge of quality. Q. As a freelancer, how do you maintain a healthy work-life balance? My two Yorkshire terriers are helping me to maintain a healthy work-life balance. I need to take them for a walk several times a day! More seriously, scheduling is very important to avoid stressing about deadlines. I always aim to prioritise and remain disciplined. With your translations, never put off until tomorrow what you can do today. As a result, you will be available to work under pressure for urgent assignments that the client needs as soon as possible. However, on the other hand, we must free up time to develop new skills, such as learning how to use a CAT or an OCR tool better. It’s also important to specialise in one field to improve our productivity, which is key. Finally, I think that the Roman phrase Mens sana in corpore sano is still relevant for a freelancer. In my day-to-day routine, Zumba classes or one hour of swimming are not-to-be-missed engagements. I sadly saw how some excellent translators and interpreters suffered from burn-outs and heart attacks last year. I love my job. I do really enjoy what I do and I think that’s a real privilege nowadays. In fact, I always dreamed of a career related to foreign languages. I was raised in a multicultural family with American and German cousins, with strong links with Spain. My grandfather passed on to me his passion for foreign languages. He learnt Spanish by talking to Republican refugees of the Spanish Civil War and with the help of a newspaper subscription. He spoke several languages and came to his mind to learn Italian at the age of 78 by making some crosswords during his recovery from a surgical intervention. My clients’ satisfaction and the feeling that the translations I’m doing are useful, such as a medical report or a cover letter for a job interview, are also important and rewarding aspects. Translating gives me the opportunity to learn something new each day, to stay in touch with current ideas, topics and trends and to improve my language skills. From the beginning, ProZ.com membership has been crucial as I obtained all my principal clients through the site. Being a member of ProZ.com also gave me a substantial discount on my Trados versions. The Blue Board database is very important as well to avoid dealing with non-professional translators or agencies, and forums, webinars and conferences are very useful. Furthermore, I previously mentioned the importance of Asetrad membership, and similarly, ProZ.com is a very valuable tool to stay in touch with other translators. Through ProZ.com, I met professional translators such as Marta Pino, a sworn and literary translator, and Barbara Beatrice Lavitola, the charismatic entrepreneur and CEO of BBLTranslation. For me, these were two very rewarding learning experiences. It’s difficult to predict the future. I would like to keep enjoying what I’m doing and keep trying to exceed my clients’ expectations by delivering first-class translations. As we are driving on an open road, I would like to chart my own course. To achieve this, I would like to take a Masters in audiovisual and multimedia translation, with dubbing, subtitling, subtitling for the deaf, audio description, multimedia and video game translations. Video is not going to “kill” written text, but it will have a growing place in our society. Translators must be ready and trained for that. Many thanks to Stéphanie for participating in this interview, and congratulations on being our tenth Apple Watch winner! Below, find the video announcement for the release of the first Plus package feature: the Plus-subscriber video library. Meet Govind Ayer: An English to Nepali translator and the ninth Apple Watch winner as part of ProZ.com’s campaign giveaway series in celebration of the site’s Plus package release. Q. How do you cope with the isolated nature of being a freelance translator? It has been one year since I started as a freelance translator. Earlier, I worked for a private translation agency for 2 years. I didn’t feel isolated while working as an in-house translator. When I started as a freelancer, I sometimes felt isolated with no one around me to discuss the work. But, I found many ways to feel accompanied. I spent some time with my family, joined an online community and took part in various social activities. For me, the most important thing to do to get rid of the feeling of isolation is to do what makes you happy. For me, translation is an important study and profession. You are always increasing your level of knowledge and skill. Being specific, I love to translate any documents for unskilled and semi-skilled labors, especially those relating to their safety and facilities available to them. Because thousands of unskilled and semi-skilled people from my country go abroad to work. I feel good when I can serve them. It is challenging to translate the documents to their level of understanding. It also gives me an opportunity to give my best and build up a better relationship with the client. It is ProZ.com which helped me to understand the translation industry. Without the help of ProZ.com, it would be impossible for me to get involved in the translation. The site has provided me with a platform to find good clients and discuss things with my peers. 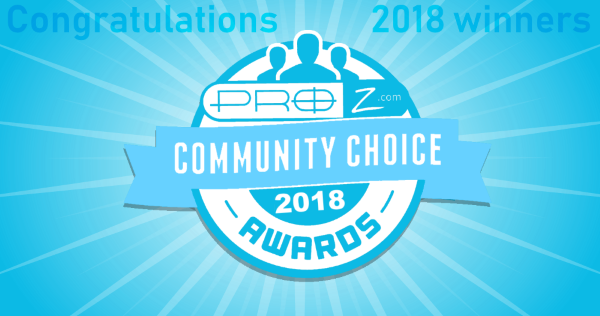 I want to thank ProZ.com for this exceptional support. ProZ.com has provided me with many regular clients and now I rarely bid on new jobs. In this way, there is still a possibility to have more good clients. Obviously, I intend to expand my business. I have decided to move forward together with ProZ.com. Welcome to the eighth post in the Open Road interview series! Today I interview Jacqueline Lamb – a freelance translator working from Spanish, French, and Catalan into English. Jacqueline specializes in medical and pharmaceutical translations, particularly clinical trial documentation and medical journal articles. Originally from the UK, Jacqueline is now based in Barcelona. Jacqueline Lamb in her home office in Barcelona. Q. I understand that you frequently attend conferences and events for translators, both online and in-person. Is networking with other language professionals a priority for you? If so, how has this helped you in your business? A. Networking has helped me in several ways. First of all, as a freelancer who works from home, I think it is very important to get out and exchange ideas and experiences with others in a similar position. You can learn a lot from your peers, and it is also a good way to find out what you do well and identify areas for improvement. Secondly, I have had clients referred to me through fellow translators I have met at events, and I have also been able to refer some of my clients to others for jobs that are outside my areas of specialisation or language combinations. Finally, attending conferences with high-quality content is definitely a priority for me. Not only are such events an opportunity to learn from people who are at the top of their game, but they also give you something to aspire to and work towards. Such opportunities just aren’t possible if you never leave your office. Q. I see that, in addition to having a profile on ProZ.com, you also market your services on your own professional website, as well as on other online portals. How important is it for you to have a strong professional online presence? A. In a profession such as ours, where virtually everything takes place online, it can be difficult for clients to know who to trust with their documents when all they have is a person’s name. I think that being a member of different associations and having a personalised email account and website help set you apart from the crowd, improve your credibility and show clients that you are committed to the profession. My online presence is very much a work in progress at the minute (as you’ll have seen by my rather basic website!) but it’s on my to-do list for next year! A. It may sound like a cliché, but the most fulfilling aspect for me is that I am able do a job I enjoy every day. It is extremely satisfying to use the knowledge and skills I learned at university on a daily basis, and I thoroughly enjoy keeping up-to-date with my source languages, as well as the latest developments in the industry. A more specific example of a fulfilling aspect of my job would be my work in translating articles for publication in medical journals, as well as revisions of articles written in English by non-native speakers. Despite having something important to contribute to their field, non-native authors often have their work rejected by journals due to an unacceptable level of English. It is always satisfying when an article I worked on is published, as I have played a part in making the information available to a much wider audience. A. I initially registered with ProZ.com when I was working in-house and became a full member in 2014 when I started freelancing. Since becoming a full member, I have worked on many jobs for people who have contacted me through my ProZ profile and some of them have become regular clients. I’ve done some interesting training webinars and videos (and look forward to doing even more from the new Plus membership library) and have attended several of the online conferences, as well as a few Powwows with fellow translators in Barcelona. Being a member has definitely been a worthwhile investment as far as I’m concerned. A. Personally I want to continue specialising further in the area of medical translation and would like to become involved in medical writing at some point down the road. The exciting thing about our profession is that it is constantly evolving and there are always other avenues to be explored, be it a new area of specialisation, branching out into related services such as subtitling or copywriting, or becoming involved in training and mentoring new translators. Your career is what you make it, and I am looking forward to finding out what the future holds. Below, find the release of ProZ.com’s Plus package as announced by ProZ.com’s Founder and President Henry Dotterer.